Nikon’s last announcement today is the new Nikkor 200-500mm f/5.6E ED VR, a super telephoto zoom lens designed for sports and wildlife enthusiasts. This lens is a very interesting announcement, because it is very different from all other super telephoto Nikon lenses we have seen in the past – it is Nikon’s first zoom lens with a fixed aperture that covers such a long range. Many enthusiasts have been asking for a 400mm f/5.6 lens and one wonders if this lens could address such needs. The 200-500mm f/5.6E VR supposedly can work with all three teleconverters and if it proves to be as versatile as it sounds, this might be something many wildlife photographers have been waiting for. The best part is the price – at $1,399.95 MSRP, it certainly falls into the “affordable” category when compared to other super telephoto lenses. Let’s take a look at this lens in more detail. Update: We have already published our detailed Nikon 200-500mm VR Review. Please see the review for up-to-date information, image samples and comparisons! The new 200-500mm f/5.6E ED VR has a different optical design than the 80-400mm f/4.5-5.6G VR or Tamron’s and Sigma’s 150-600mm variable aperture lenses. With a total weight of 2,300 grams, it is noticeably heavier than the 80-400mm (at 1,570 grams), the Tamron 150-600mm f/5-6.3 VC (at 1,951 grams) and the Sigma 150-600mm f/5-6.3 DG OS HSM (at 1,930 grams). It is probably more appropriate to compare it to Sigma’s Sport version of the 150-600mm lens weight-wise. Although it is the only lens with a fixed aperture of f/5.6 in this group, it does not have the same reach opportunities as the 150-600mm lenses – but let’s not forget that those lenses cannot be used with teleconverters, while the Nikkor 200-500mm f/5.6E VR can. So theoretically, one could get to 700mm with the 200-500mm f/5.6, although at the cost of light – the maximum aperture would be limited to f/8 at all focal lengths. The big question is, would the 200-500mm give good results with a 1.4x teleconverter or not. If it does, it would be a great choice for wildlife, but if it does not, then the Tamron and the Sigma lenses sound like better choices overall. It is pretty clear that the new 200-500mm f/5.6E ED VR is significantly sharper in the long end than the 80-400mm VR – the difference is pretty drastic! I personally did not like how the 80-400mm VR performed with teleconverters, even with the 1.4x attached, the lens did poorly both in terms of autofocus and sharpness. Looks like the 200-500mm f/5.6E is a better fit for such needs. 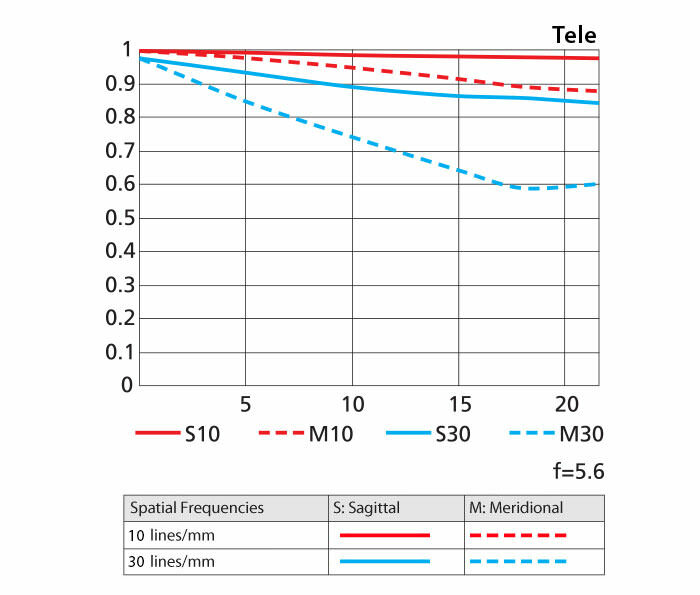 Both lenses seem fairly close in sharpness according to the provided MTF charts, but I would not be surprised to see the Sigma edge out the Nikon – longer focal length lenses usually do better compared to lenses with teleconverters attached. 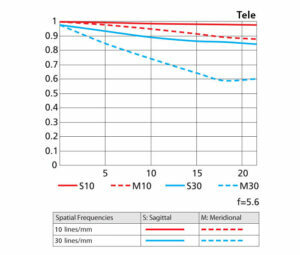 But it is only a rough guess – keep in mind that we are only looking at theoretical performance and MTF charts between manufacturers cannot be directly compared. There is a chance that the Nikkor might be as good, if not better. However, we would still be looking at f/8 vs f/6.3, so there is a definite difference in how the two lenses would perform in low-light conditions. At the same time, given that the Nikkor 200-500mm f/5.6E VR can take up to 2x TCs, this would potentially be an interesting budget choice to get to 1000mm. The lens would not autofocus and sharpness would probably suffer significantly, but it could still be usable for such needs as photographing the moon. Nikon put some of its modern technology into this lens. Although it does not come with Nano Coating, the lens does feature electromagnetic diaphragm mechanism, Silent Wave Motor, up to 4.5 stops of Vibration Reduction compensation, internal focus design and 3 extra-low dispersion lens elements. Unfortunately, Nikon screwed up the tripod collar again – seems like this one will have to be replaced with a Kirk or Really Right Stuff version. I am quite excited by this release. I was saving up for an old 300 F4 but then this caught my eye. The big thing for me would be how hand hold able this lens would be? It might not be the best lens in the world but at least Nikon now offer a more affordable long lens for wildlifers. I love my 70-300 for the price but its quite soft on the long end and I find its AF really drops off once you zoom out past 200, so I’m hoping this lens is sharp to at least 400 or so. Iv started to see the old 300 F4 drop down to around £600 second hand, so mmmm choices! Just to add, I know you are very busy and might have other more important reviews/articles to write; but an update to your wildlife lens round up article with this lens included and compared with the other teles would be amazingly helpful! On a side note what happened to Romanas? Has he now left your site? You can still get to 600mm with the 300/4 VR, using 2xTC, and the weight is much more reasonable than the 200-500 or 150-600s, and, additionally the 300/4 is brighter (and frankly, its very rare to need lenses longer than 400mm — with a 1.4xTC you’ll have a 420mm lens with the 300/4VR). The 300/4VR can fit in most bags easily with a very easy weight; this new lens will NOT (neither will the 150-600s) and all are seriously heavy. I have been mouthing off on Nikon forums for 6 years or so that Nikon should make a 300-600/4 or /5.6 simple 2x zoom. It seems like they’ve done this. But the problem is that they started at 200mm, instead of 300, which is a problem because we’re already covered at 200-300mm by all sorts of lenses. But Nikon spun that into a positive by allowing it to be a decent 700mm with a 1.4x TC (image quality degrades much faster if using a 1.7x or 2x TC). Effectively, this is a Nikon 200-700mm/5.6-8.0 lens, suddenly making it interesting against the range of the 150-600s. Why no gold ring around the lens? Even the somewhat crappy 28-300mm/VR has a gold ring. What does Nikon think makes this lens WORSE than the 28-300mm/VR?? Auto-focus might be slow or terrible. VR might be poor. Possibly there will be poor quality assurance and Nikon is preparing us for massive lens variations (which strikes zooms most of all). Everyone is wondering! “Why no gold ring?? What’s wrong with it?? ?” Possibly this is an “unfinished” design that Nikon isn’t confident about and is a quick reaction to the Tamron/Sigma market and some Nikon designers don’t stand by it. But as an economic issue, Nikon is going forward anyway. No one knows. We have to wait and see. It may not have a gold ring because its just humble and great. But personally, the HUGE SIZE of this crazy-big/crazy-heavy lens makes me prefer the 300mm/4VR. The 300mm/4VR you can take anywhere/everywhere; the 200-500 or 150-600s will have very specific nichey uses (maybe better for renting or pros in a specific industry). Hi Global, off topic I just want to ask you what you think about the 300mm/4VR and 1.4 TC combination? The 300mm without the 1.4 is excellent but as soon as I put on the 1.4 i’m really disappointed. I used this combination but I tend to go away from it since I find it really turns my photos blurry and mushy. What is your experience? I have the same issue with my older AF-S 300mm f/4. Tack-sharp on its own but I just can’t get acceptable results with the TC-14E. Others rave about this combination but it just does not work for me. Very disappointing. I have the Nikon 300mm f4, the new 80-400mm f5.6 VR, and the 200-500mm f5.6 VR. I’ve taken thousands of shots with the 300mm w/1.4TC and with the 80-400mm and from my take after about a thousand shots with the 200-500mm is that the 200-500mm is superior in terms of sharpness and autofocus speed. I also feel that the VR of the 200-500mm is significantly better than the 80-400mm (which I no longer use at all). The only downside is the weight which is still quite manageable for long hikes. I have no doubt there will be strong demand for this lens. Nikon have at last noticed the gap in their lens range and set about filling it. I wonder how much focus breathing will be involved? It will be interesting to see things like speed of focus and how it performs with both teleconverters and on DX bodies. The sample images suggest the bokeh will be good. Not kidding when I say this — I would like it if they made a 10-20mm/f3.5-4.0 super-duper wide-angle. This needs to be a goal. Along with a 135mm/1.8 VR bokeh king with Zeiss levels of sharpness and CA correction. I’m with mark. I am waiting for the reviews, but I will guess the 300mm f4 will win the sharpness/IQ/MTF battle along with being much lighter to tote around. The 200-500mm f5.6 wins in versatility and gives a little more reach…oh, yeah, and affordability. Nice to have another option in the super-telephoto family that is somewhat affordable, at any rate. I sold my AF-S 300mm f/4 and bought the new 200-500mm a couple days ago. You are bang on – the zoom is more versatile and has more reach, but it is a big, heavy brute compared to the 300mm (which was big and heavy enough). But as sharp as the 300mm is (and it IS), the few photos I’ve taken with the 200-500mm appear every bit as sharp, even at 500mm. I am very very pleased with the image quality. I have been contemplating switching from canon ever since I read the news about this lens. I primarily only photograph birds and reach is of utmost important. I currently use 300mm canon and I’m wondering if I should switch over to Nikon and start all over again. I’m haven’t tried Sigma/ Tamaron in a while. Not sure if getting canon 400mm f5.6 instead of the switch makes more sense. Your thougts? What Nikon is supposed to make is 400mm f5.6 or 500mm f5.6 primes at an affordable price. Personnely I don’t expect this lens to stand against the canon 400/5.6 in the beginners market of wildlife photohraphy. much better i have already sold my 80-400 the 200-500 is a great lens very pleased with it. Nasim, a slight mistake here, if this lens is compared to a sigma 150-600mm at 500mm, it has no tc attached and the aperture is 5.6. Nice. Seems a more specialist range. I have the 80-400 ED, which I sometimes use with the 1.4x. For the little wildlife/airplane stuff I do. That’s blistering enough for me, one of my favourite lenses. After the Zeiss 24/1.8 of course….. This is a very interesting release. It seems Nikon is recognizing the need to reach past 500mm without spending mega bucks. 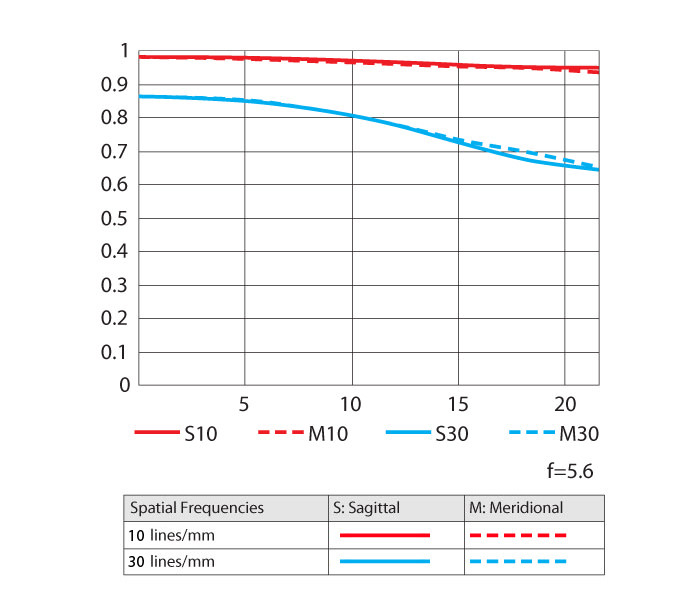 At this point one should not make too much of the theoretical, factory MTF charts. 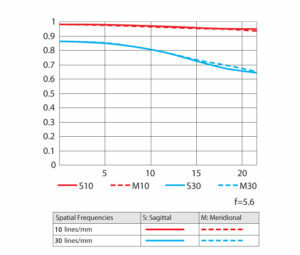 These charts describe contrast at 10 and 30 LP/mm which says very little about sharpness and resolution between 40 and 50 LP/mm, where the details are. I am glad to see that Nikon is addressing the need for affordable telephoto lenses in both primes and zooms. I hope that this 200-500 is optimized toward the long end whereas a lens built for 300mm but hyper-extending to 500mm would be less interesting. FYI, Yes the Sigma Sports 150-600mm can support the TCs. I use my marvelous Sigma Sports 150-600mm with the new Sigma 1.4x TC. It works wonderfully well together. The Sigma autofocus systems still works very well at F/9. Finally, thanks to bring the MTF charts about these super telezoom lenses. We can have the first impression about their optical quality. Wow thats a great image. What time of day was it? Thanks! It was about 7:30 in the evening if I recall correctly – about an hour before sunset. Thanks for the update. I think you’re right, Nikon has finally come up with an affordable wildlife/birding zoom lens covering most of the sweet spot that users require. Provided there’s no technical issues this lens could become wildly popular. Nikon just can’t seem to get this right on their more economical lenses. Seems that producing a quality collar would become too expensive. In which case I’m not sure why they put one there in the first instance. 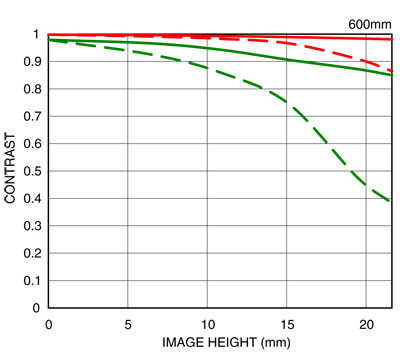 The concern with the Sigma at 600mm would be the astigmatism (as compared to the Nikkors). Could you comment on this aspect? Finally, an affordable telephoto lens from nikon for amatures and hobbyists like me. 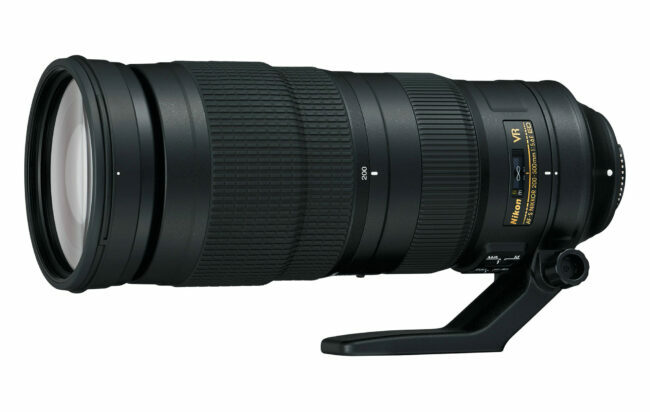 Nikon announced it just when I was gearing up to buy a Sigma 150-600mm contemporary. Now confusion rises. Whether a fixed aperture (f 5.6) zoom telephoto lens will be better than the variable aperture telephoto zoom from sigma and tamron. Secondly.. it comes from nikon not a third party.. so should I wait for this.. I love to shoot birds primarily..
Nasim… I have to wait for your detailed review on this nikon and how it compared to the sigma or tamron 150-600.. awaiting another honest review from you. Thank you for this alert & update. I have both the Nikon 80-400mm VR and the Tamron 150-600mm and for me the Tamron outshines the Nikon lens for bird photography that is my main focus. I seldom ever use TC as images do not turn out great (using using D7100 DX format, always handheld). As others have mentioned, we do hope you will offer some comparison of the Tamron 150-600mm with the Nikon 200-500mm VR. Been disappointed recently with Nikon. the 80-400mm was not great; my new D7200 was soft for all images, even in good light (similar note from colleagues) & I returned it. It took me three tries to get a good 80-400 AF-S. I ordered one when it was first released. It had problems and I promptly returned it. I then waited six+ months and tried again. Still problems, and back it went. About four months ago I ordered again and I finally got a good one. I had a similar problem with purchasing a 70-200 f/2.8 (current version). That also took me three tries to get a good copy. The main concern for me with this lens would be the additional weight (plus how many copies until a good one). I took only one try at a Tamron 150-600, and the copy I got was horrible (okay to about 300, after which the hit ratio dropped drastically). I shoot sports, almost exclusively, and all of it hand-held, which is why the additional weight of this lens may be just too much for me (I ain’t getting any younger). According to the press release, the 200-500mm is compatible with 1.4TC on D800, Df etc with autofocus, and 1.7 and 2.0TC without autofocus. Would be almost an ideal and still a reasonably priced replacement for my 70-300VR which always has struggled with the range i need. The only thing so far that i don’t like about this new baby is the F/5.6, the 200-500 f/3.5 that Nikon apparently patent couple years ago would’ve been so much better, prob a little more costlier, but much better, whatever happened to that patent Nikon ? Or are you going to release a ” S ” ( sport) model of this lens with F/3.5 with some more improvements over this one ? telephoto lens at an affordable price, I think it’s better to choose this lens .. I want also a lens like this. I was really exited with this lens until I learned it is not compatible with FX in DX crop mode. I was hoping to get 750mm out of this lens. I rather just get a 1.4 teleconverter for my 70-200 and use it DX crop mode on my D750 for a total reach of 480mm. I will save $900. According to Nikon, the 200-500 f/5.6E is compatible with DX bodies. Nikon’s E (electronic shutter) lenses are compatible with bodies made since about 2007. This lens should function on newer FX bodies having a crop mode. Have you read otherwise? E lenses have an Electromagnetic Diaphragm, not shutter. Nikon does not make any SLR leaf-shutter lenses. I wish they did. It will be interesting to compare this lens to the Tamron and Sigma 150-600 offerings. The Nikon will be faster than any of those three through the last 75-100mm of its native zoom range. The potential benefits are significant: shorter exposures, lower ISO and shallower depth of field. It will be interesting to see how IQ holds up when cropping an image made at 500mm to produce an image with an effective 600mm FOV. The option of adding a 1.4x TC to get to 700mm while retaining autofocus is intriguing. If the 200-500mm f/5.6E VR is comparable or superior in IQ at that extended focal length to the Tamron and Sigma zooms, it’ll be hard for retailers to keep the Nikkor in stock. I’ve got one on pre-order. I’ve not posted a link here before; hopefully it will work. Apologies for sending you to facebook, but it’s all I have. C’mon lets not get hung up on manufacturer’s MTF charts. They almost a work of fiction – no lens comes close in reality. And as for using them to assess wether a TC will be OK or not that’s just fatuous. Cannot wait to get my hands on this lens. I tested the sigma 150-600 sport against my Nikon 300 f2.8 VR2 with TC 2.0iii against this Sport at 600mm. The Sigma was a clear winner, sharper and better color. I tested both on my D810 and D4. I have stopped using the 300 f2.8 with the Tc 2.0 and only use the TC 1.4. On a recent trip I rented a Sigma 150-600 Sport and used it on the D4 and the 300 f2.8 with TC 1.4 on the D810. In the end I stopped using the 300f2.8 and shot 90% of the images with the Sigma. The main reason being the zoom flexibility as we shoot from a Safari Vehicle. The IQ of the sigma is fantastic and I still struggle to see any difference in IQ. I am sure the naked 300 f2.8 compared to 300mm on the Zoom will show different results but with the TC 1.4? So I would be keen to see how this lens performs. What about the speed comparison between the 2 combo? Nikon Rumors shared the above link to a mobile01 forum thread started by a photographer who has received shipment of the Nikon 200-500 f/5.6E ED VR lens. The that includes photos of the lens as well as photos made with the lens. The sample images appear to have been shot with a Nikon D4s. Two screen captures from Capture NX2 feature bird photos; one made at 500mm, f/5.6 and the other at 420mm, f/5.6. VR was off for both. There are several other sample photos in the thread. Most are 100% crops of bird photos. Reading between the lines of the English translation, the owner appears to be impressed with the VR performance and the way the lens handles chromatic aberration. I have got this lens now and I must say it is a real treat to use! Sharper than both Tamron and Sigmas options, faster, better AF, MUCH better stabilizer. No problem shooting 1/60 at 500mm (750 equivalent on my d7200) outside. The only “problem” could be the lack of proper weather sealing. Here are some samples from me. Just wondered how fast the AF is? Is it fast enough for BIF ? From my experience the AF is both faster and more consistent/accurate then both Sigma and Tamron. This is not surprising since it is Nikons own lens. I have heard statements about the AF being as fast as the 500mm f4. So yes it is indeed fast enough for BIF. I just ordered mine (forgot to use your link, dammit!). Initial views from others are positive but I love the format and consistency your reviews take on. Pleeeeease step up and give us a review. Some testphotos in Finland, foggy and dark morning. d810, iso 4000, f5.6 most of time. Your mtf chart for the sigma is wrong…It is not the one given by Sigma…. Thanks for the article – when do you plan to post a full review ? I have used Nikon 500mm f/4 ones and we can’t compare a prime to this zoom lens. Prime is prime.. lock focus on moving subject instantly and it is insane to compare with 200-500mm f/5.6. If you need fast glass then invest on prime lens such as 500mm f/4 , 300mm f/2.8 , 400mm f/2.8 ..etc. I’ve been thinking about getting this lens for a while but as only use handheld I’m put off by reviews from people saying it’s too heavy? I would use this mostly in bird hides and on walks so am a bit concerned about how heavy it is and is the zoom much better than the 55-300mm which is what I have now but I want to get closer shots. Can anyone advise? There is no way to downplay the bulk of this lens. It is big and it is heavy. It is a fabulous lens, very sharp, and remarkably usable when hand held due to the very effective VR system. But it is a brute to carry around and to hold in position for more than a few seconds without a tripod or monopod (which only adds to the weight for carrying around). If mobility is your primary concern, you might want to pass on this lens. If you can switch your shooting style to include using a monopod (which I have done) then the lens is fantastic. Tough choice for you. Good luck! thanks for that. Is there any other lens that is good for distance work (mainly wildlife) for a Nikon that is lighter to use? Might have a look into micropods, I Can’t use tripods find them too fidley and annoying to carry. Thanks. I can second the quality of the 200-500 which I recently purchased. I haven’t shot any wildlife yet, just some landscapes and architecture. As far as lighter options for wildlife, there are the Sigma Contemporary and the Tamron 150-600, but these are only slightly lighter. In summary, if you plan to shoot wildlife, the 200-500 is among the lightest and cost effective options out there, plus can be used with the 1.4 teleconverter to make for a 700mm lens with useable auto-focus, something the Tamron and Sigma cannot do. I’d suggest you look at the 300mm f/4 PF VR if weight is of concern. It is generally limited in focal length for wildlife but it’s incredible light weight coupled with the stellar Nano and Fluorine coating make it perform spectacularly optically. As it’s f/4 you can still stack a TC14E-III on it to make it 420mm f/5.6 with very little deterioration in IQ but you’re now at almost double the cost of the 200-500mm. Thanks for your help, will the 200-500mm lens go on a micropod? I heard they are easier to use than a tripod especially when taking wildlife shots. Using a monopod will certainly help. For long exposure shots, a sturdy tripod and solid ballhead will also be necessary – be sure to not just look at the weight load when choosing a tripod and ballhead, as there can still be micro-vibrations with entry level products. Using mirror lock up is also helpful.